In today's commercial environment the image that your business projects is all important as your customers and business partners will want to deal with a professional organisation. Even micro businesses that consist of just one person can benefit from a virtual office as these can give the impression of a business that is much larger that it actually is. With all the professional service that leasing office space traditionally offers, virtual offices have become very popular as they offer unprecedented flexibility for the small business owner. For the small enterprise virtual offices can be a great bonus as they can enable you to get your business up and running without having the cost of leasing office space that can be a drain on your start-up capital. They also offer the versatility that smaller enterprises demand. A 24-hour telephone answering service. Additional services like meeting rooms. Hot desking with the latest technology. How many calls do you think you missed last month? It's a worrying thought that you could have lost a lucrative contract simply because you couldn't answer your phone. 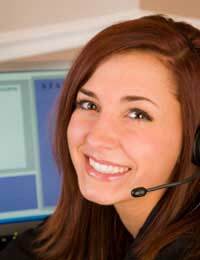 One of the most popular services within a virtual office is telephone answering. Ask the virtual phone supplier how many other businesses they have on their books. The ratio of telephone operators to the number of calls they receive should be as low as possible so you can be sure that your calls are answered promptly. Are the telephone answering service centres in the UK? Many of the smaller virtual office suppliers use overseas call centres that may not offer the service you are looking for. Is the person that will answer your calls properly trained? Ask to see the virtual office supplier's credentials. National qualifications with the latest switchboard technology are essential to provide your business with the best possible service. If the virtual office has packages deals, look at the detail to ensure you are not paying for services you don't need. Also look at your telephone-answering contract to see if you are locked in for a minimum period. Shop around for the best price and package deal for the budget you have. All services are not the same, but watch out for very low fees. This could indicate a less than professional service. The hours that your virtual office is open could have an impact on your business. If you trade internationally you may need telephone answering to take into consideration the time differences across the world.